On becoming national Minister of Water and Environmental Affairs in 2010, she prioritised the global climate change crisis on both an international and national level. As part of this effort, she facilitated the development of our national climate change response policy that was approved by the Cabinet in 2011. This policy includes a range of measures aimed at achieving both South Africa’s overall national goals reflected in the National Development Plan and our commitments made under the UN Framework Convention on Climate Change (UNFCCC). Dr Molewa was internationally recognised and respected in the climate change fraternity, and has been in the vanguard of global efforts since the genesis of the Paris Agreement at the 2011 COP17 in Durban. In recognition of her dedication and commitment, in August 2018, she was bestowed with the Officier de l’Ordre National de la Légion d’Honneur (Officer in the French Legion of Honour) by the French Government. The Legion of Honour acknowledged Dr Molewa’s commitment to the struggle for freedom and democracy, for women’s rights and her role in the advancement of global negotiations that led to the signing of the historic global climate change pact referred to as “The Paris Agreement”. Dr Molewa did not only focus on climate change, but she also provided extraordinary vision, inspiration and leadership for the whole spectrum of issues and challenges in the environmental sector. As a visionary leader within the government, Dr Molewa quickly saw the potential of the Malaysian “Big Fast Results” participative planning methodology that has been adapted for application in South Africa as the Operation Phakisa methodology. Internationally, Dr Molewa led South Africa’s negotiation of the United Nations Convention on Biological Diversity (CBD), United Nations Convention to Combat Desertification (UNCCD), World Heritage Convention (WHC) and the Convention on International Trade on Endangered Species of Fauna and Flora (CITES). Her active role in these multilateral agreements resulted in South Africa being invited to host the 17th Conference of Parties to CITES (COP17) whose legacy includes the sustainable livelihoods programme, which will positively impact communities globally. It is through these international platforms that she advanced the sustainable use approach as part of conservation and biodiversity management. She launched an Operation Phakisa for the Oceans Economy and, working in partnership with other relevant government departments, drove the development of the Blue or Oceans Economy, including focus areas on maritime transport, shipbuilding, offshore oil and gas exploration, aquaculture, port development, industrial zone development adjacent to ports, marine and coastal tourism, as well as research and technology, and oceans governance. She was convinced that securing zones for the conservation of coastal and offshore areas through declaring Marine Protected Areas was essential to economic development, securing marine life for current and future generations. She sadly passed on whilst in the process of finalising the 2018 National Framework for Air Quality Management, which was to bring a shift in air quality management space and gear the country towards cleaner production. 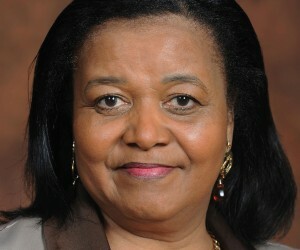 Dr Molewa was recognised internationally for her vision and leadership in the chemicals and waste management sector. In 2013, she spearheaded South Africa’s signing of the Minamata Convention text and the subsequent allocation of funds for key studies to be undertaken in South Africa towards its ratification. At a national level, through the Chemicals and Waste Economy Phakisa, Dr Molewa has pioneered several innovative initiatives, including the transformation of the sector and addressing the plight of waste pickers. One of her priorities was to focus on the generation of jobs in the green economy, particularly the waste sector. These initiatives centre on addressing inequality, poverty alleviation and the creation of jobs. She has supported informal waste collectors through the “tools of the trade programme” that provides for improved logistic innovations on the transportation of the recyclables through motorised transport. 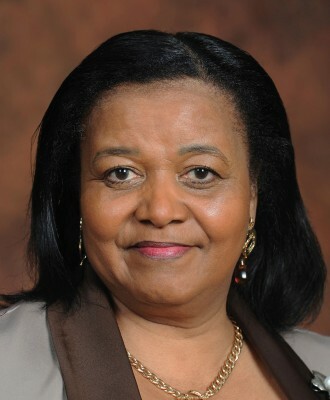 In recognition of her valued contribution to scientific knowledge through her environmental work, Dr Molewa received an honorary doctorate in Applied Sciences from the Vaal University of Technology (VUT) in 2016. A year later, she was appointed as the first Chancellor of the Sefako Makgatho Health Sciences University in Ga-Rankuwa. She was a woman of substance, a visionary leader, she was knowledgeable, hardworking and a reader, driven to achieve tangible outputs and outcomes. Her passion and immense knowledge in the field of environmental management was exemplary.